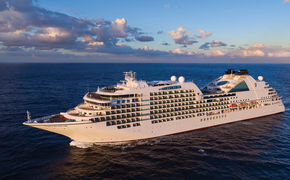 This September, Silversea Expeditions' all-suite Silver Galapagos will undergo a second phase of refurbishment during a month-long dry dock in Panama. The renovations will entail a complete refurbishment of all suites, corridors and the Explorer Lounge. An elegant blue and beige color palette will create an interior décor echoing that of the recently refurbished Silver Discoverer. These further enhancements will achieve a consistency of interior design within the expedition fleet. The 100-guest Silver Galapagos underwent an initial partial refurbishment last year, highlighted by the installation of new in-suite bathrooms featuring rich marble detailing, plus a new fitness center, massage room, beauty salon, outdoor Jacuzzi, and Silversea's signature outdoor dining venue, The Grill. 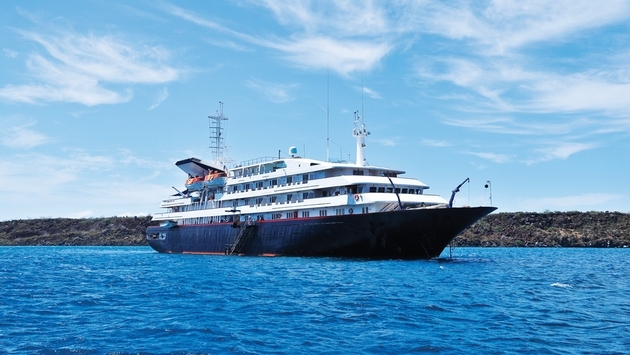 Silver Galapagos sails Saturday to Saturday on seven-day voyages through the Galápagos Islands, following either a western or north central route. These expedition cruises offer adventurous travelers the life-enriching chance to discover a wild, pristine paradise that has long been regarded as a natural laboratory of evolution. On complimentary expeditions ashore guided by an experienced expedition team (certified by the Galápagos National Park Service), Silversea's guests may experience up-close encounters with an abundance of wildlife that includes sun-basking land iguanas, giant tortoises, blue- and red-footed boobies, colorful marine iguanas, sea lions, penguins and Darwin's famous finches.